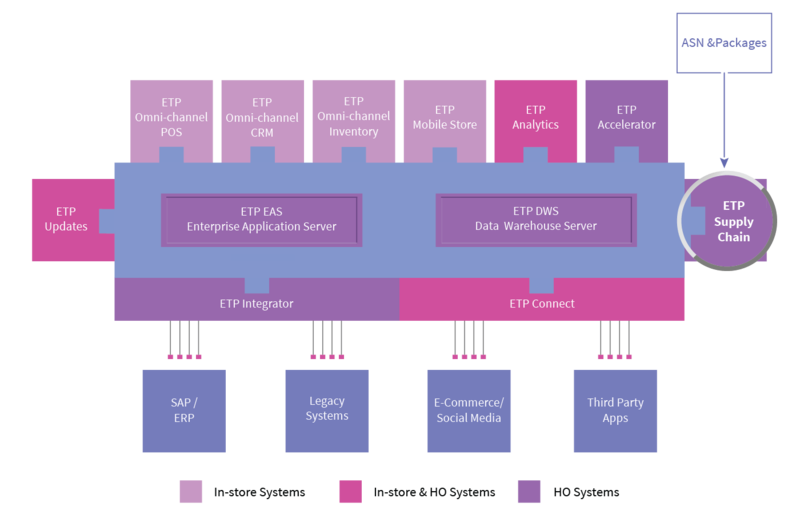 With use of the ASN function in ETP OMS, you can plan for receipts and inbound activities at warehouses and also more accurate ETA data for allocations to stores and ATP for other channels. The ASN data from vendors along with the packing list can be uploaded to ETP OMS. ETP OMS helps you to improve the efficiency of the receiving process by doing package based receiving.